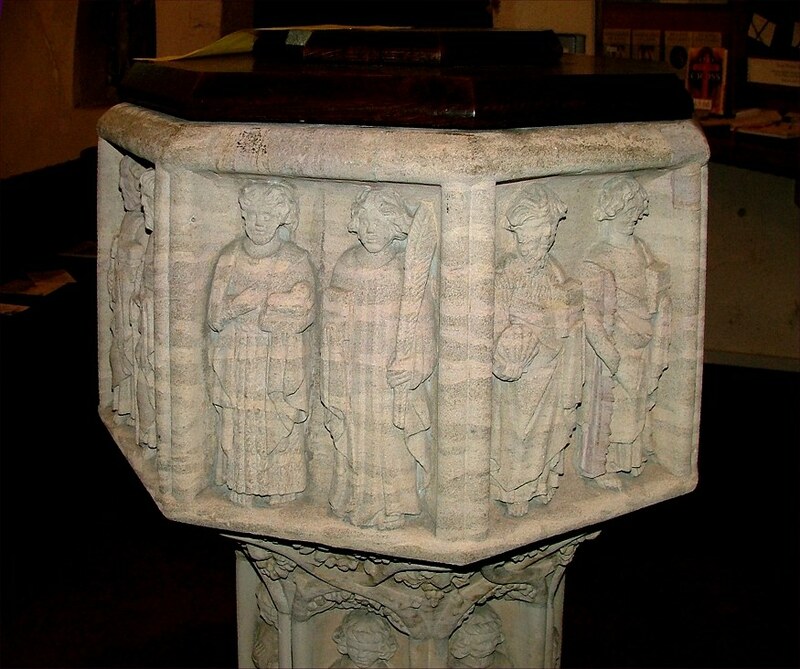 St Julian, although almost forgotten today, was a popular figure in medieval legend. He was a nobleman who, out hunting one day, spared the life of a deer which had admonished him. It then went on to make the rather startling prediction that he would kill his parents. 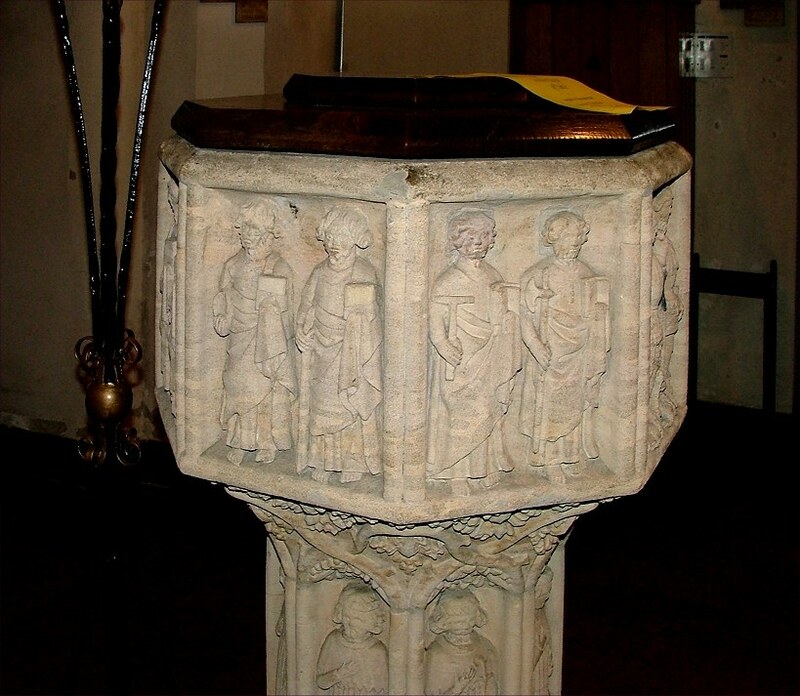 By roundabout means, this accidentally happened; Julian resolved to pay penance by establishing a riverside inn for travellers, and a hospital for the poor. 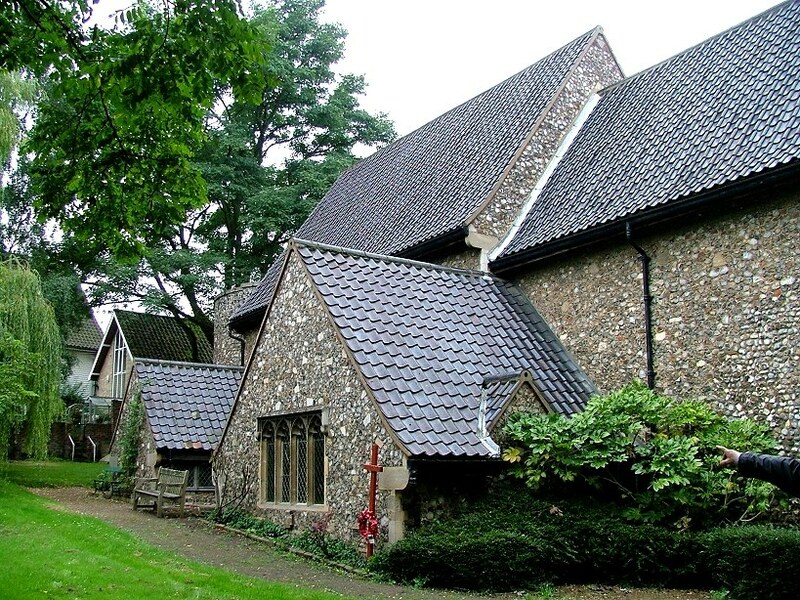 So, he was an entirely appropriate choice of patron for the medieval Priory established here in the medieval suburb of Conesford on the banks of the Wensum. 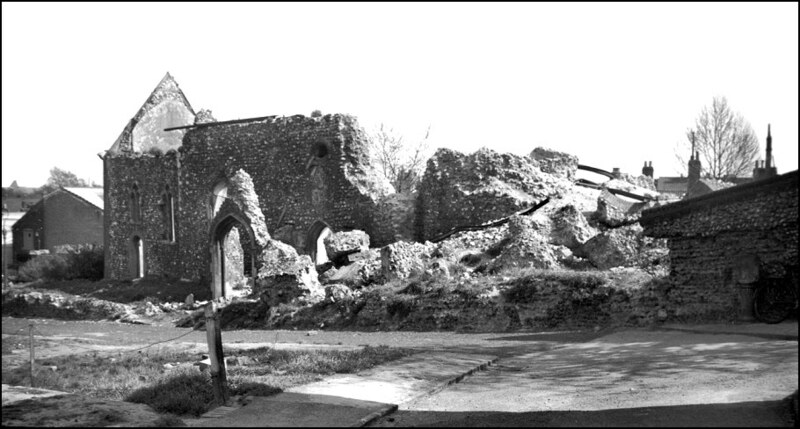 The Priory has long gone. In the 18th and 19th century this north bank area of the city was taken over with factories, warehouses and working class housing. They took the place of small artisans' cottages and workshops, some of which survive. 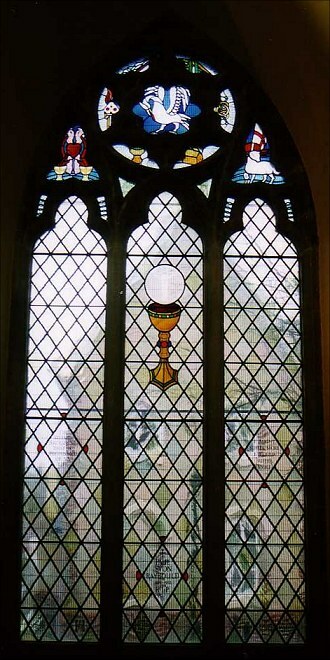 In the late middle ages, much of East Anglia's stained glass and memorial brasses had been made here, but over the following centuries you would have been more likely to find tanneries and slaughterhouses. Only now is this area undergoing a full-scale regeneration that may see it become the city's artists quarter. King Street, the main road that ran through Conesford, is being gentrified, but still the urban decay of centuries clings to the old buildings. 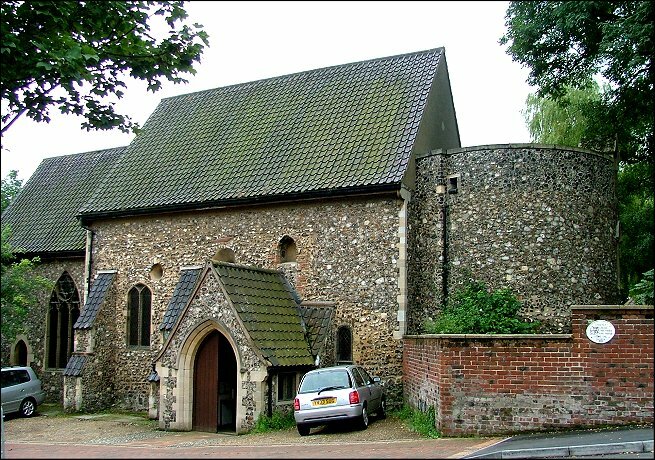 But although this church is a small and rebuilt building, tucked away in what is still the anonymous and run down inner city, St Julian is one of the most famous of Norwich's churches because it is associated with the mystical visions of the Blessed Mother Julian of Norwich. Both church and mystic took their name from the adjacent Priory; in a way, it is a coincidence that they share it. 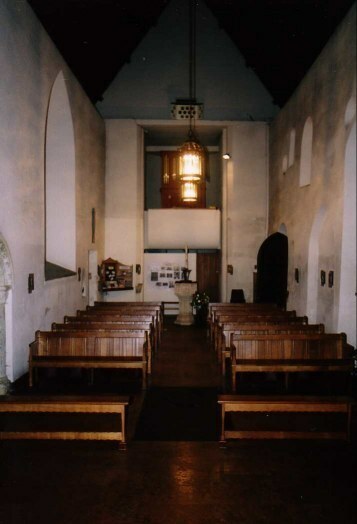 When Dame Julian came here, the church looked much as it did in the early 19th century drawing above. 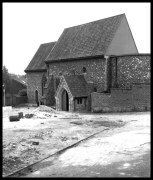 By the time George Plunkett took his 1937 photographs on the right, the Victorians had replaced the chancel, but it was still substantially a medieval church. Incidentally, Dame Julian did not actually receive her visions at this church; some people are disappointed when they discover this. In fact, we don't know who she really was at all. She was a woman, of course, and probably of noble birth; she fell ill in the 1370s, probably in one of the outbreaks of the Black Death which carried off half Norfolk's population between the late 1340s and the end of the century. In her deathbed delirium, she claimed, she received mystical visions, which she termed Revelations of Divine Love. On her unexpected recovery, she was received into holy orders, taking the name Julian, and became an Anchoress. 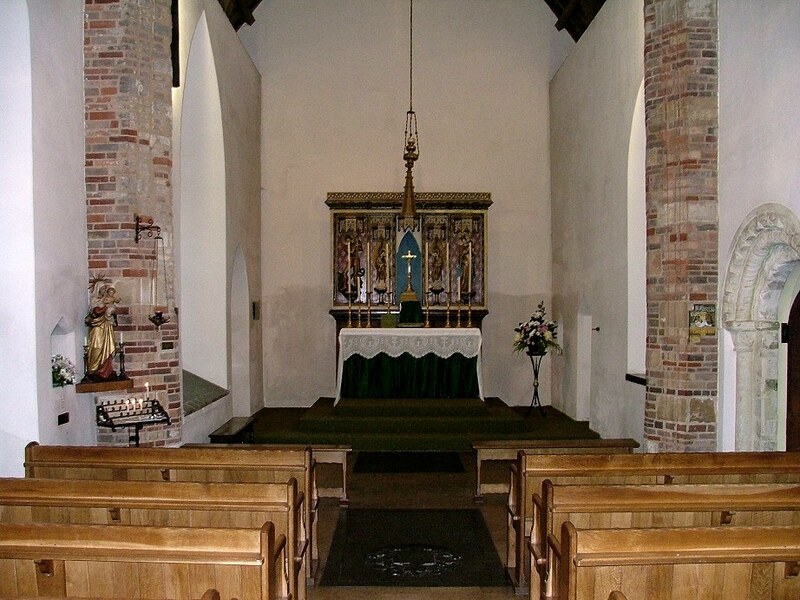 An Anchoress was a kind of female hermit, walled up in a room on the side of a church with a view of the altar. Meals would be passed to her, ablutions passed out, and she would offer advice to visitors; but her existence was largely a contemplative one. 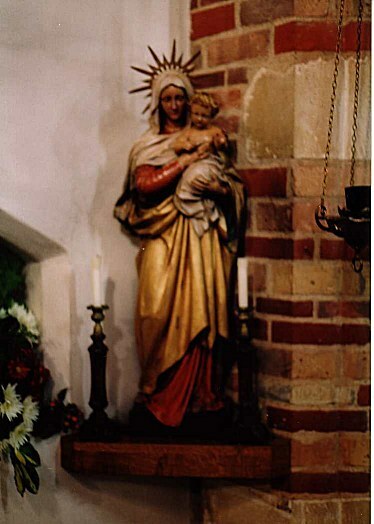 Her male equivalent would have been an Anchorite; there is surviving evidence of Anchorite or Anchoress cells at half a dozen East Anglian churches. There was a great craze for Anchorites and Anchoresses in the late 14th century, mainly as a result of the way in which the Black Death had concentrated our minds and made us serious. 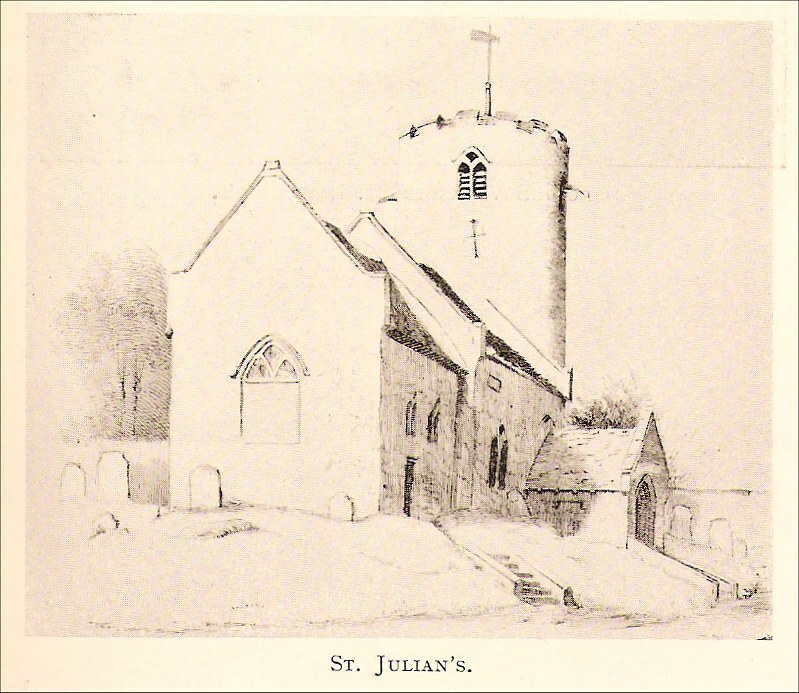 Dame Julian devoted her time to prayer and contemplation of her visions, which she wrote down in English. The manuscripts were scattered to the four winds by the Reformation, and it was really only in the 20th century that the importance of her work in both literary and spiritual terms was recognised. The most striking thing about the Revelations is quite simply that, at a time when an obsession with death, doom and gloom would have been entirely reasonable, they are optimistic and uplifting, an affirmation of our relationship with God. They suggest that our ultimate destiny is intended by God to be beautiful and glorious, and that life is not a test which sends its failures to hell. 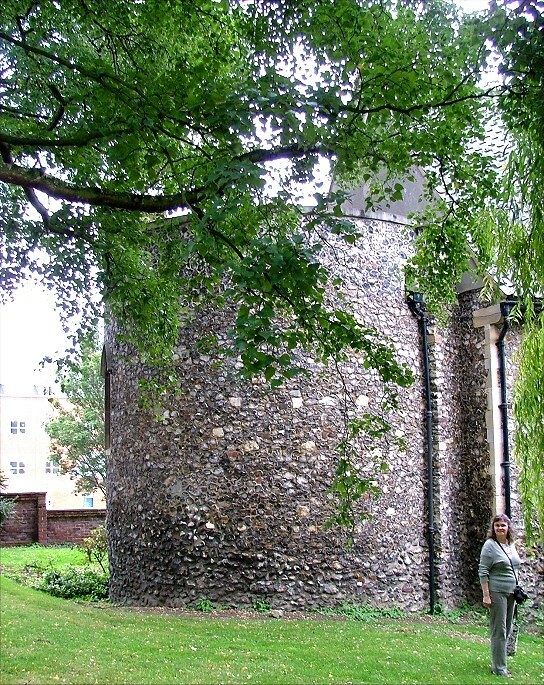 Roger Clarke, a friend of this site, points out this has always been a rundown and poor part of Norwich, even in medieval days. 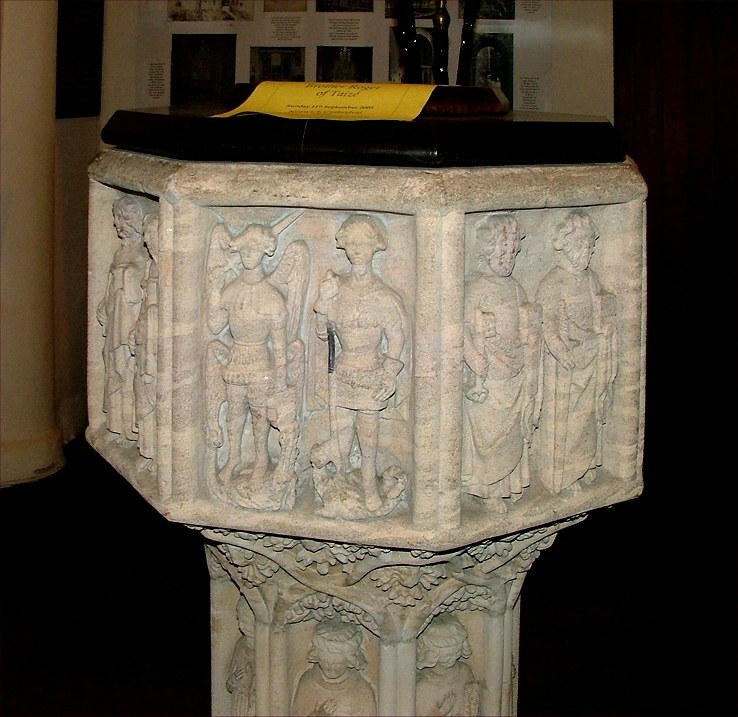 Because even in the fifteenth century the Conesford area had a certain reputation, Roger writes, I have always felt that this adds to the specialness of the place. Mother Julian's Revelations are highly incarnational and stress the reality of Christ sharing in the messes and confusion of human existence - grace is very much earthed and earthy for her. What better place for the Revelations than a church in a run-down, slightly seedy, decayed, red-light district ? The holy is glimpsed, not in the purity of isolation, but in the ordinary - or, as Mother Julian, would call it "the homely". The Revelations are at the forefront of medieval northern European spiritual writing. 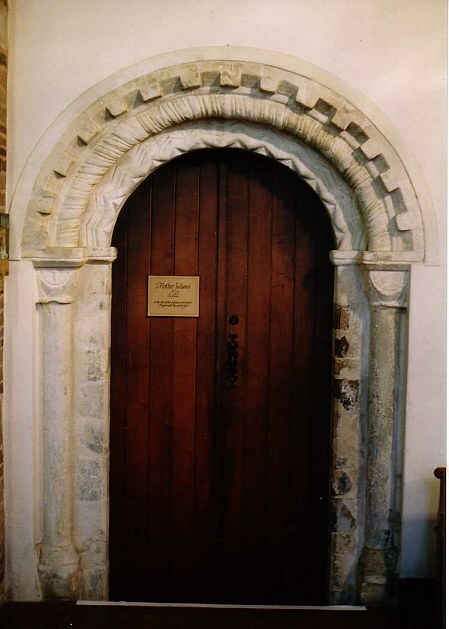 Although she has never been officially recognised as a Saint, Mother Julian is often treated as one (Blakeney church has a window of 'St Julian of Norwich') and her patronal day of May 8th is included in the Ordo of both the Church of England and of the Catholic Church in England and Wales. 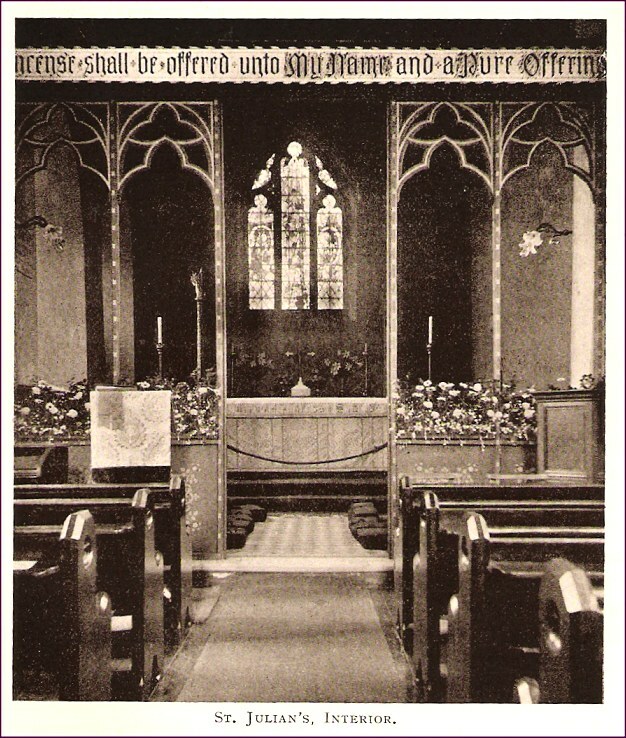 A 1905 photograph of the interior above shows us that St Julian was a spectacularly high church at the start of the 20th century. 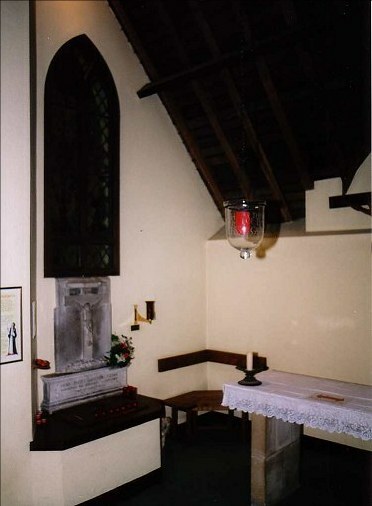 The rood beam inscription reads And Incense shall be offered unto My Name and a Pure Offering received. 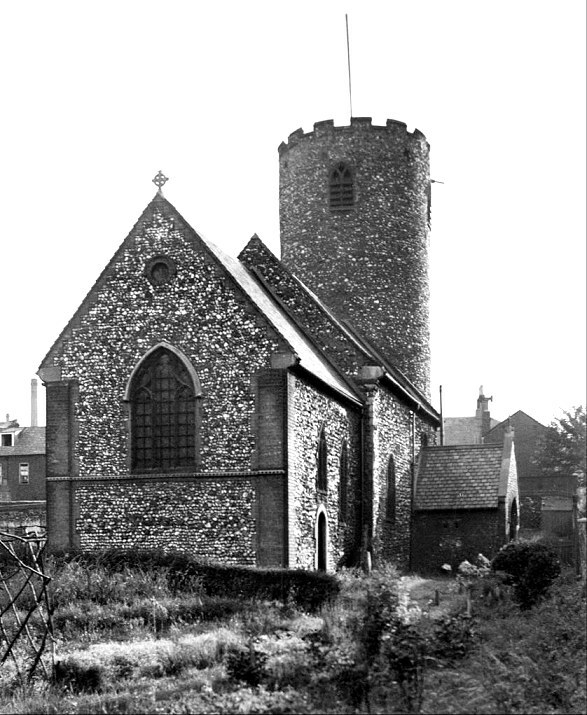 But during the 1942 air raids on Norwich, St Julian was one of five city churches destroyed by the bombing. 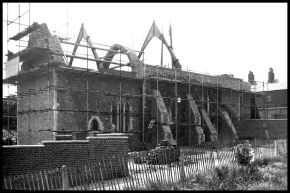 Thanks to the significance of its most famous resident, it was the only one to be rebuilt, and this was done in the 1950s according to its original plan, except that the presumed site of Mother Julian's cell was added as a transept, accessed through a massive Norman doorway brought here from the bombed out church of St Michael at Thorn. 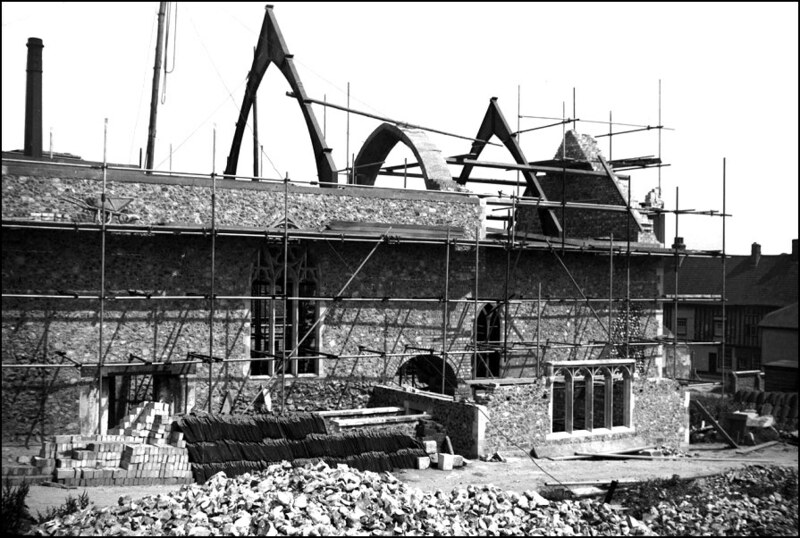 The steeply pitched roof gives it an attractively rustic feel, and the Saxon windows exposed by the bombing have been left as features on the north side. 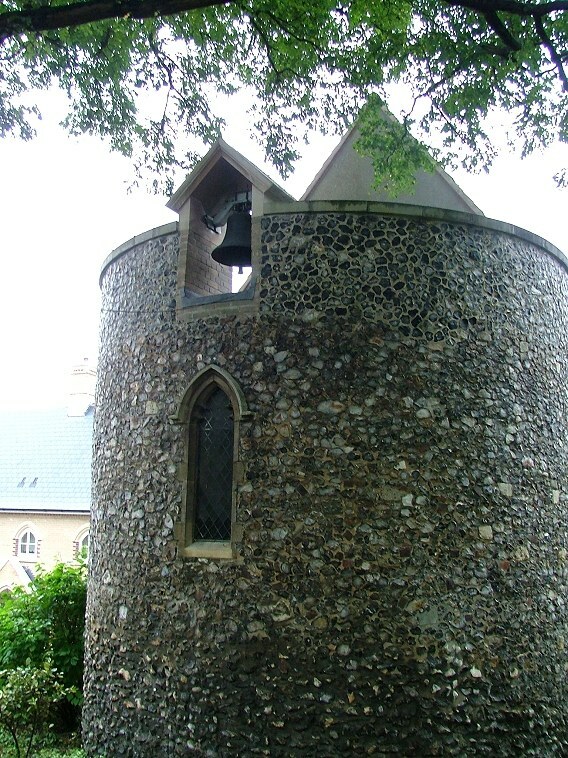 The tower was left at a lower level, and is now less-convincingly Norman than it was before the bombing. 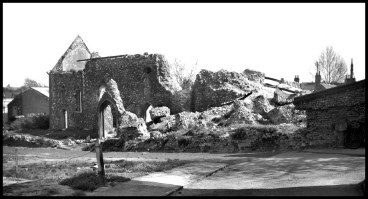 George Plunkett's 1946 photograph shows St Julian in ruins at the end of the war, and reminds us quite how complete the destruction was - far greater than at St Paul, for example. By the 1950s, work was in progress; the second photograph shows the state of play in 1952; in the foreground is Mother Julian's cell being constructed on the presumed site of its predecessor. 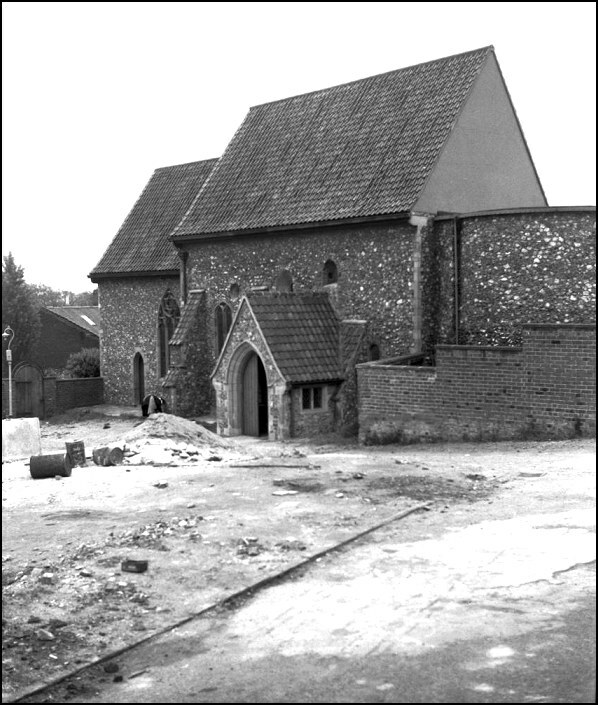 On the same day, the north side is shown below, with the completed church being landscaped in 1962 in the fourth photograph. 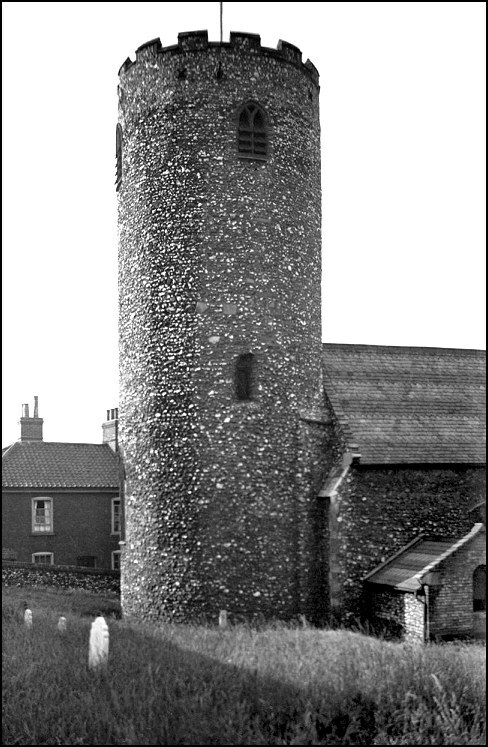 The twelve-storey council block of Normandie tower looms over the church, and in this challenging area it was fitting that a group of Anglican nuns from the Community of All Hallows at Ditchingham on the outskirts of Bungay should have set up a community beside the church in the 1950s. 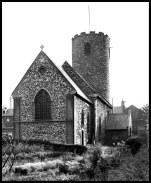 In the reorganisation of Norwich parishes, this was one of two churches in the new Parmentergate parish to survive as a working church - the other is St John Timberhill. 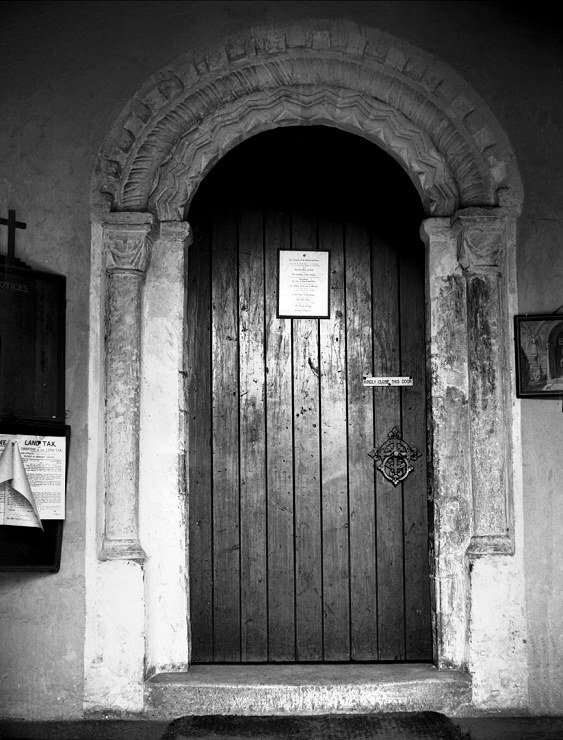 We had just arrived inside St Julian to hear whispered voices coming from the south transept, when all of a sudden a nun came flying out through the Norman doorway into the body of the church. Not literally flying, of course, but she was certainly fleet of foot. "Hello sister, is it all right to have a look around? ", I said, because it seemed only polite to ask. "Can you wait a few minutes?" she replied, breathlessly, "we're in the middle of a Eucharist." And then she was gone, out of the north door. Well, what would you do? I thought about it, and began to photograph the font. I had just become engrossed in this when the breathless nun fled back in, carrying a large consecration host. She skipped back into the transept, and a few moments later we heard her voice begin to intone the third eucharistic prayer. I am not a member myself, but I love the Church of England and its funny little ways. 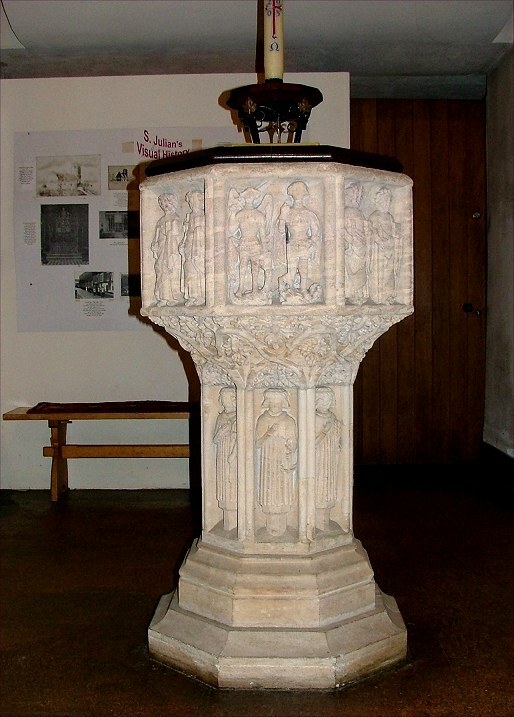 The font I was photographing came from All Saints in the city centre, another example of the way in which surviving Norwich churches have been enriched by those that fell to redundancy. 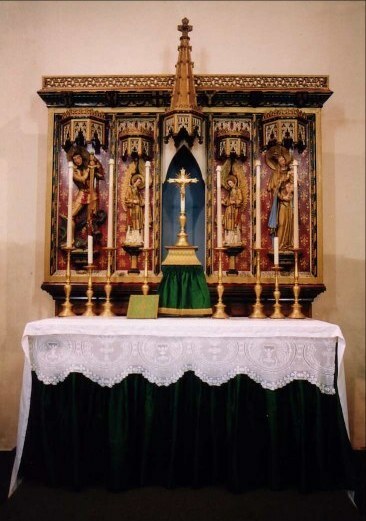 It is similar to one that was in St James, but which has now been moved to a church in Norwich's northern suburbs. 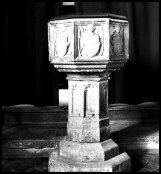 There is another in the series at Stalham. It was brought here to replace a 15th century font with shields that was destroyed by the bombs - you can see both fonts below, the earlier one photographed in 1937 by George Plunkett. Although I have been fortunate enough to visit this church on a number of occasions, and have usually basked in its peaceful and contemplative atmosphere, we were in a hurry on this particular day, because it was the National Heritage open day 2005, when all of Norwich's medieval churches were open. 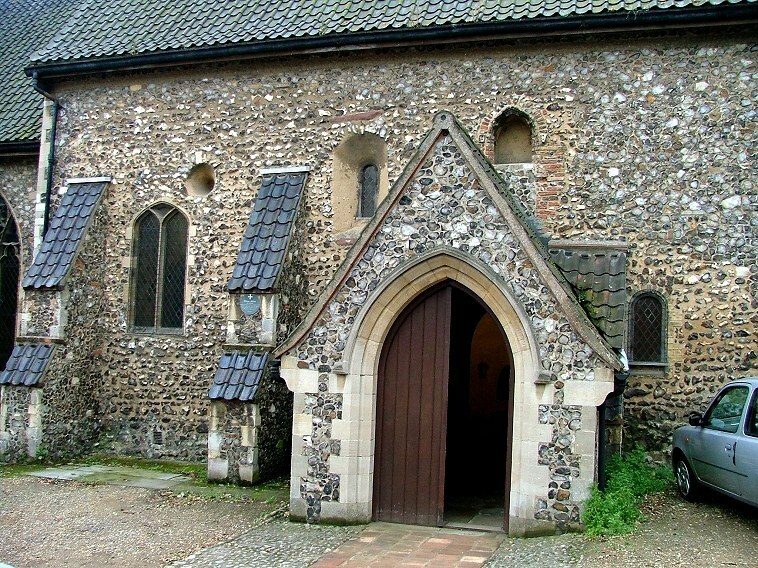 St Julian is always open daily anyway, but most Norwich churches are not; so we pressed on to St Peter Parmentergate and left St Julian's nuns to their Eucharist. 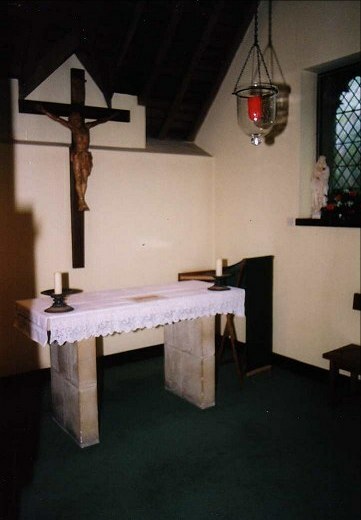 Peter Stephens kindly came to the rescue with the photographs below, which include the cell and the cell itself, which was inaccessible because of that eucharist and its attendant nuns. I do admire Anglican nuns. Over in the Catholic Church there are thousands and thousands of nuns, mostly now in plain clothes, all over the world. They bestride the globe with their sleeves rolled up, teaching, running hospitals, contemplating, suing for peace in war zones, standing up to Bishops; one critic described them as the shock troops of Vatican II. But at least they know they are at the heart of their Church. Not so Anglican nuns. You have to be someone really special to devote your life, quite literally, to a Church where you are in a tiny minority of the clerisy, where half the members of the Church don't even know that you exist, and, worse, some of those who do know about you wish that you didn't. Just imagine; you give up everything, only to watch the worldwide Anglican communion tearing itself apart, and the Church at home preparing to sink the life rafts that kept the Anglo-catholics afloat after the decision to ordain women Priests. Blimey. That'd be a test for your vocation and no mistake.